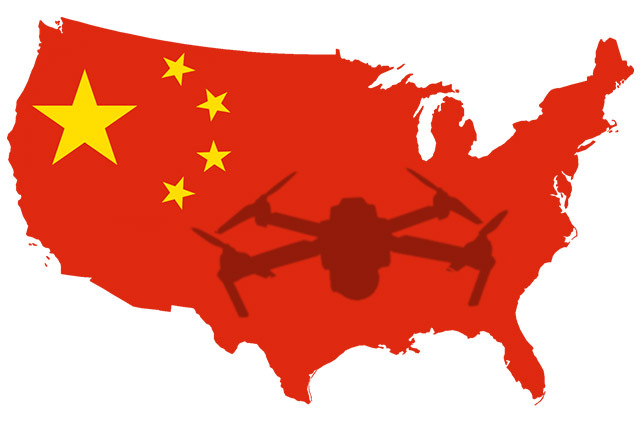 Is Your Drone Part of a Chinese Plot to Take Down the US? An ICE agent in the Los Angeles has made some outrageous claims. The agent “assesses with moderate confidence that Chinese-based company DJI Science and Technology is providing U.S. critical infrastructure and law enforcement data to the Chinese government.” The memo produced by this agent “further assesses with high confidence the company is selectively targeting government and privately owned entities within these sectors to expand its ability to collect and exploit sensitive U.S. data.” In other words, your drone is part of a massive spy plot. Not only is it capturing amazingly detailed images of your city or town, it’s beaming them straight to Bejing. DJI has said the accusations are “insane.” But isn’t that exactly what you would expect a spy to say? Check out the full article in Fast Company You can download a copy of the report and read it for yourself. Just be sure to put a blanket over your drone first—just in case.